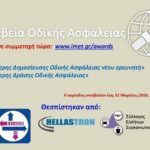 Road Safety News concern a selection of the most recent developments on road safety in Greece, in Europe and worldwide. 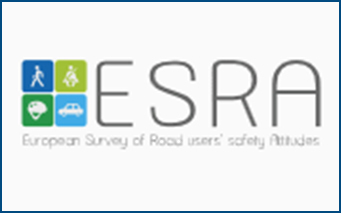 The Forum of European Road Safety Institutes (FERSI) has restyled and updated its website. 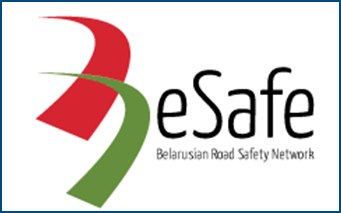 The website not only provides information about FERSI, its members and activities, it also provides relevant links to road safety information, road safety organisations, major policy documents and European projects. 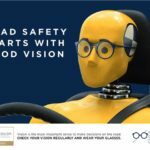 FIA launched a brand new visualized tool-website with key figures on vision and its impact on road safety in 14 countries all over the world. It provides data regarding visual disorders population percentages of each country, vision legislation and driving license, minimum acuity for both eyes, minimum vision field etc. 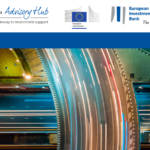 European Investment Bank and European Commission join forces to support investments in transport safety with special focus on roads. At the TEN-T and CEF Conference in Bucharest, the EU Commissioner for Transport Violeta Bulc together with Vice-President of the European Investment Bank (EIB) Vazil Hudák launched the “Safer Transport Platform” to promote safety as a key element for transport investment and to provide easy access to technical and financial advice, in particular for road safety. 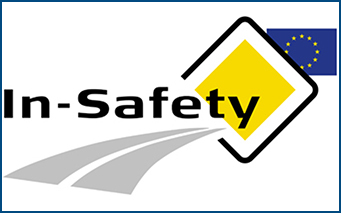 The “Safer Transport Platform – Road Safety Advisory” is available via a dedicated website. 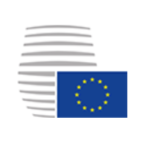 The EU institutions have reached a provisional political agreement on the revised General Safety Regulation. As of 2022 new safety technologies will become mandatory in European vehicles to protect passengers, pedestrians and cyclists. 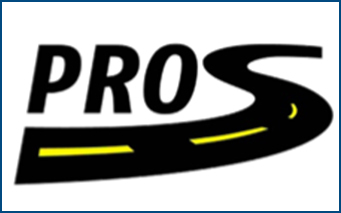 Key new technologies include intelligent speed assistance, lane-keeping assistance, advanced emergency braking, warning driver drowsiness and distraction, reversing safety with camera or sensors and data recorder in case of an accident (black box). 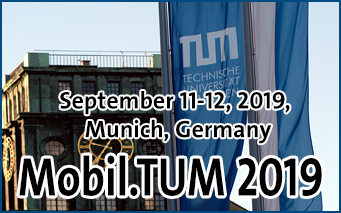 Advanced safety features will reduce the number of accidents (90% of which are due to human error), pave the way towards increasingly connected and automated mobility, and boost the global innovation and competitiveness edge of the European car industry. 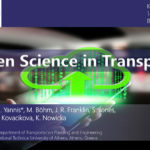 Prof. George Yannis made a presentation about “Open Science in Transport” at the kick-off meeting of the BeOpen, Horizon 2020 project, which took place in Brussels in 14 February 2019. 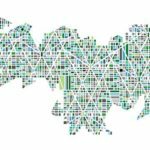 BeOpen aims to create a common understanding on the practical impact of Open Science and to identify and put in place the mechanisms to make it a reality in transport research. 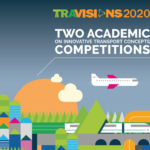 Road Safety constitutes a major component of this Open Science in Transport initiative. 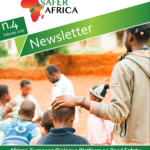 The 4th Newsletter of the African-European Dialogue Platform on Road Safety (SaferAfrica) Horizons 2020 project has been recently issued with the active contribution of NTUA. 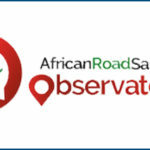 This edition highlights the African “ownership” of the African Road Safety Observatory, Role for NGOs, SaferAfrica Thematic Factsheets and new resources. 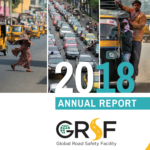 The Global Road Safety Facility (GRSF), launched the GRSF 2018 Annual Report, highlighting its excellent record of delivery and long term funding for road safety. 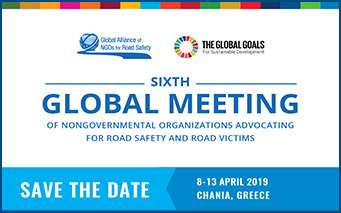 GRSF is a global partnership program administered by the World Bank, which was established in 2006 with a mission to help address the growing crisis of road traffic deaths and injuries in low and middle-income countries (LMICs). 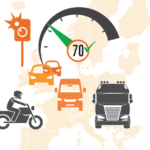 The European Transport Safety Council (ETSC) has published the 36th PIN Flash Report “Reducing Speeding in Europe“, with the active contribution of NTUA. 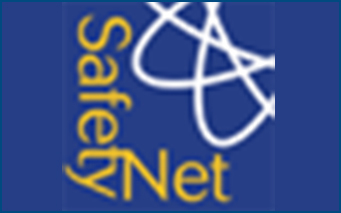 The EU has the exclusive authority to set minimum safety standards for all new vehicles sold on the EU market. 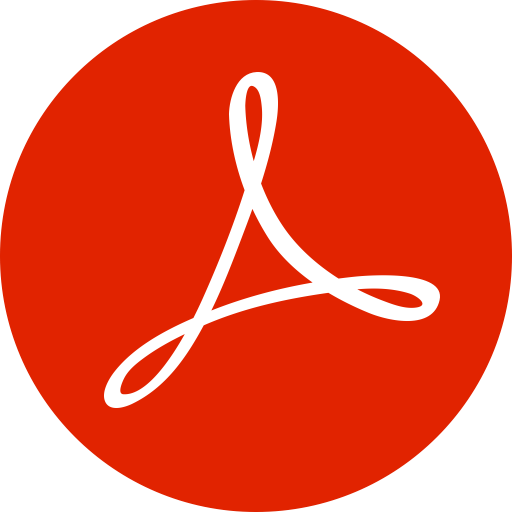 One of the main goals of this PIN Flash Report is to highlight the proposed standards which include mandatory fitment of overridable Intelligent Speed Assistance (ISA) on all cars, vans, buses and heavy goods vehicles. Research shows that this single technology could help to achieve a high level of compliance with speed limits and eventually cut road deaths by 20%. 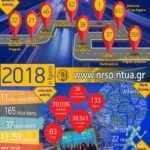 The infographic of the 2018 NTUA Road Safety Observatory (www.nrso.ntua.gr) activities, highlights one more very intensive year, striving with highly scientific expertise to improve road safety in Greece, in Europe and worldwide. 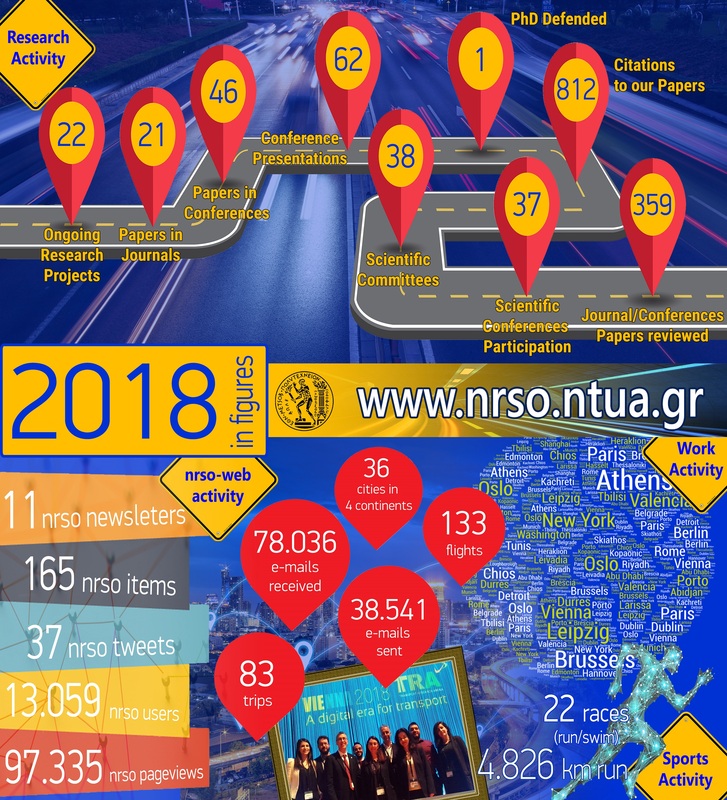 The nrso people with excellent dedication, efficiency and expertise were active in 22 innovative research projects, succeeded to publish 67 scientific papers (21 in peer reviewed journals), reached almost 100.000 nrso website page-views, handled more than 115.000 emails and run more than 4.800 km! The Road Safety Institute ‘Panos Mylonas’ with the support of the European Transport Safety Council (ETSC) produced and implemented two video campaigns focusing on driver distraction due to mobile phone use: and one video campaign focusing on the importance of seat-belt especially at the back-seat, titled: “Seat-belt – The belt which “ties” us with life“: . The objective is to highlight these very crucial road safety risk factors and promote these campaigns through social media. 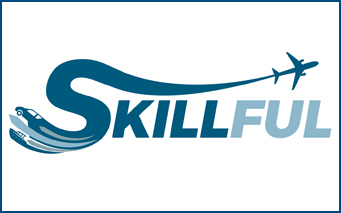 The European Transport Safety Council (ETSC) has published a Report titled “The Status of Traffic Safety and Mobility Education in Europe” with the active contribution of NTUA. 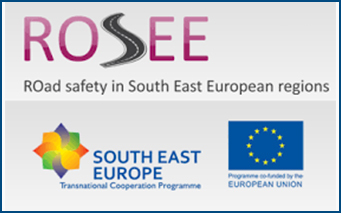 Even though the overwhelming majority of European countries consider education as an essential part of the integrated approach to traffic safety, this first overview of traffic safety and mobility education in Europe demonstrates that in practice road safety education in schools at all levels is not sufficient. Only in the Czech Republic, Ireland and Germany is road safety education provided at all levels. 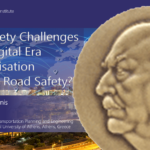 NTUA Road Safety Research is ranked 2nd in Europe and 6th worldwide according to a recent study titled: “Visualization and analysis of mapping knowledge domain of road safety studies“, published at the leading safety Scientific Journal Accident Analysis and Prevention. 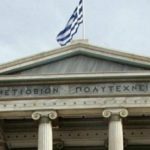 Moreover, NTUA Prof. George Yannis appears to be among the most productive scientific authors worldwide in the field of road safety. 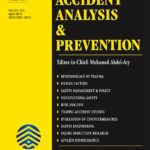 This ranking is based on a systematic analysis of all road safety studies published on Science Citation Index Expanded (SCIE) and Social Sciences Citation Index (SSCI) between 2000 and 2018, containing several interesting performance indicators on road safety research worldwide (topics, trends, papers, journals, universities). 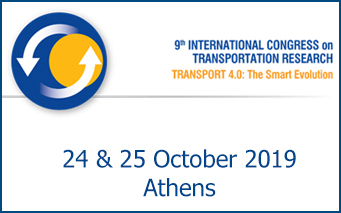 A paper titled “Road safety behavior of drivers with neurological diseases affecting cognitive functions: an interdisciplinary Structural Equation Model analysis approach” authored by Dimosthenis Pavlou and George Yannis is now published in Advances in Transportation Studies. 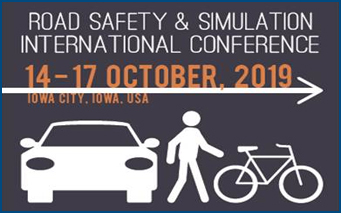 This research suggests the evaluation of driving behavior by using multiple driving indexes in a combined integrated manner, through a large-scale driving simulator experiment, comprising medical/neurological and neuropsychological assessments of 225 active drivers, and a set of driving tasks for different traffic volumes, different driving environments, including in-vehicle distraction conditions. 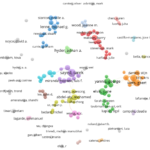 The statistical analysis methodology developed and implemented was based on Principal Component Analysis and Structural Equation Models (SEMs). 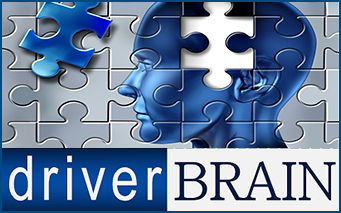 SEM results indicated that the impact of neurological diseases affecting cognitive functions is significantly detrimental on the latent variables “driving performance” and on the observed variables “reaction time” and “accident probability”. 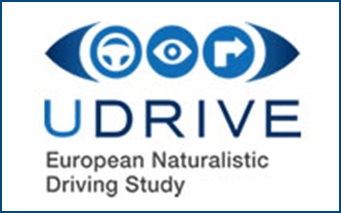 The AD group had the worse driving behavior profile among the examined groups with neurological diseases affecting cognitive functions. 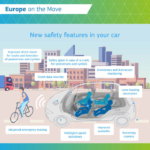 The European Transport Safety Council (ETSC) has published a briefing synthesis titled “EU Strategy for Automated Mobility”. 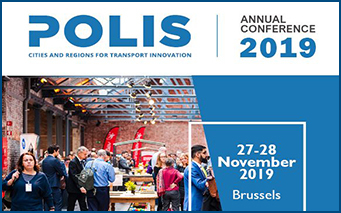 ETSC warmly welcomes and fully agree with the Commission’s acknowledgement that when it comes to automated mobility, “only the highest safety and security standards will suffice”. This must remain the guiding principle in the years to come. 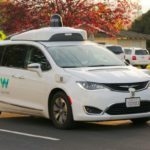 Automated driving has the potential to significantly improve road safety. 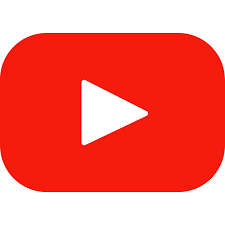 However, recent collisions involving vehicles with automated technology on board demonstrate that automated driving may also pose new risks to road safety, and that the technology is not yet mature. 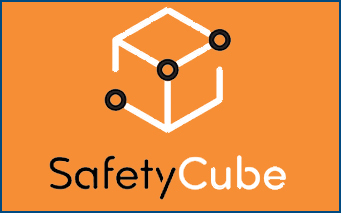 At the end of another year full of scientific excellence and innovation and great achievements, like the new breakthrough Road Safety Decision Support Systems: SafetyCube, SafeFITS, AfricaRSO, we persist with creativity and passion for a brighter, more automated and safer traffic future everywhere and for all. 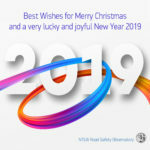 We thank you all for the excellent cooperation and we are sending you our very best wishes for joyful Christmas holidays and a lucky and fruitful new year 2019, plenty of personal and professional achievements. 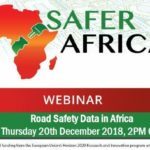 Within the framework of the Horizons 2020 project SaferAfrica (African-European Dialogue Platform on Road Safety) a webinar titled “Road Safety Data in Africa” was successfully organised with the active contribution of NTUA, on December 20th, 2018. 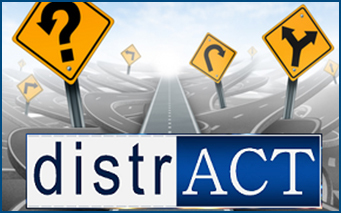 This webinar addressed key findings from a review on road safety data collection systems and definitions in African countries, together with the respective recommendations and guidelines for a minimum set of harmonised data collection procedures and standard definitions. In addition, the results of the analysis of key road safety data and risk factors in Africa were highlighted. 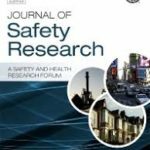 The Journal of Safety Research announced a call for papers: Special issue – Safety, human factors and technology. 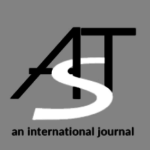 The objective of this Special Issue is to support the discussion on the future trends of mobility and the implications for the protection of all road users. 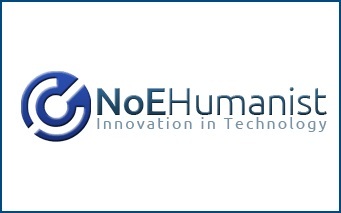 An important aspect is that technological developments must go hand in hand with users’ acceptance and behavior. 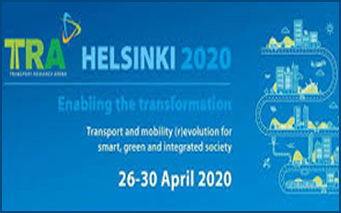 Therefore, we are particularly interested in contributions addressing the following topics: The role of human factors and technology on road safety; Interactions between vulnerable road users and automated systems; How can road users influence the technology advancement in transportation. 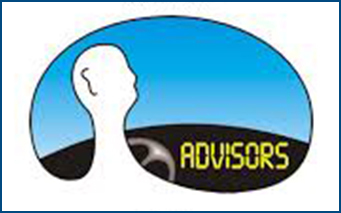 The African Road Safety Observatory is now on line constituting a space for interaction to highlight the road safety needs in African countries, developed with the active contribution of NTUA. 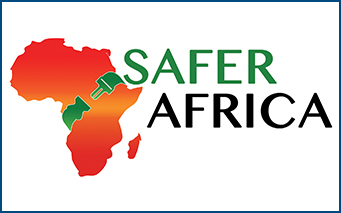 It is one of the main results of the SaferAfrica project funded by the European Commission Horizons 2020 Programme and includes various knowledge and tools, such as statistics, reports, fact sheets, knowledge resources and links and it is integrated with crowd-sourcing functions to facilitate the participation of experts and end-users, through an interactive Dialogue Platform. 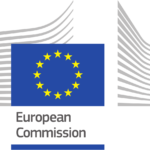 On the occasion of the World Day of Remembrance for Road Traffic Victims, the European Commission presented the final Road Safety Figures for 2017, which show for the second year in a row a decrease by 2% of road fatalities in the EU compared to the previous year. 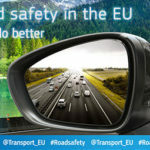 European Coordinator for Road Safety Matthew Baldwin said: “Whilst European roads are the safest in the world, the downward curve has flattened out in past years. We still have many challenges ahead of us: I especially think of vulnerable road users, who– as the figures show- are making up a larger share of the casualties, especially in urban areas. We need an active, cooperative, holistic approach amongst all stakeholders to implement what we know needs to be done – the Safe System“. 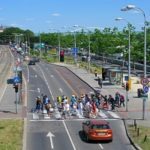 The International Transport Forum (ITF/OECD) published recently a new Report: “Safer City Streets: Global Benchmarking for Urban Road Safety”, with the active contribution of NTUA. This document aims to support cities in setting road safety targets and to monitor progress in improving urban road safety. 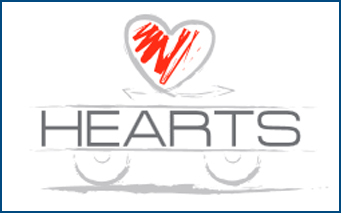 Pedestrians, cyclists and motorcyclists account for nearly 80% of urban traffic fatalities. 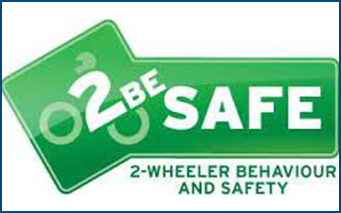 Cities should thus intensify efforts to improve the safety of vulnerable road users. 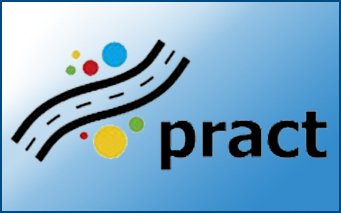 This document presents traffic safety indicators for different road user groups collected in 31 cities worldwide to facilitate the evaluation, monitoring and benchmarking of road safety outcomes. It places a particular attention on measuring the risk of fatality per unit distance traveled. 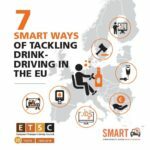 The European Transport Safety Council (ETSC) has launched a new campaign “Last Night the EU Saved My Life”. 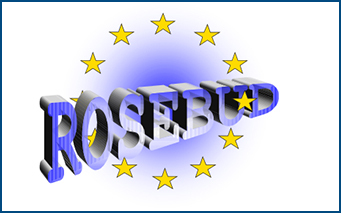 The EU has the exclusive authority to set minimum safety standards for all new vehicles sold on the EU market. EU crash safety tests, and mandatory inclusion of technologies such as seat belt reminders and Electronic Stability Control have saved thousands of lives. 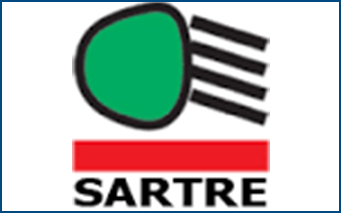 The revision of the “General Safety Regulation”, published on 17 May 2018, includes a set of new vehicle safety measures, including mandatory installation of new driver assistance technologies, as well as revised minimum crash testing standards and measures to protect pedestrians and cyclists. 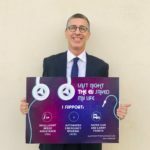 But the new legislation now needs the support of Members of the European Parliament and the Member States of the European Union in order to be passed into law, and that’s why ETSC has launched this new campaign with the active support of NTUA. UNECE celebrates the 50th anniversary of Vienna Conventions on Road Traffic and on Road Signs and Signals, 1968-2018. At the turn of their 50th anniversary, the Vienna Conventions on Road Traffic and on Road Signs and Signals from 1968 are more relevant than ever. 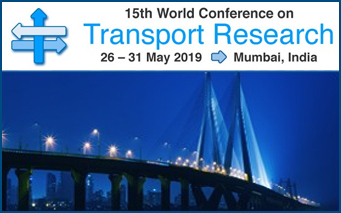 Whether helping to address the most critical road safety needs, or facilitating the development of automated driving functionalities, reference to these legal texts, which are evolving with technological developments, is a necessity for countries around the world. 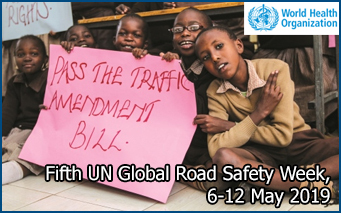 The two Conventions have a global scope and are important frameworks facilitating international road traffic through uniform traffic rules and harmonized road signs, signals, symbols and markings.